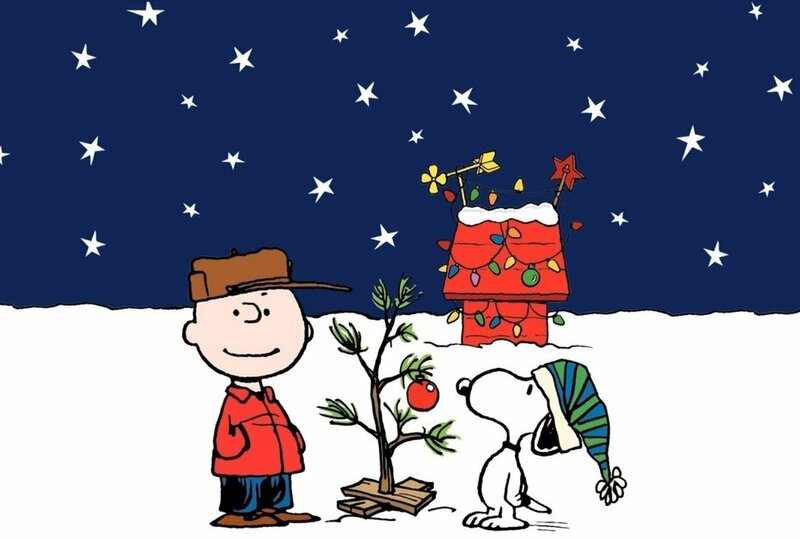 Christmas in a Minor Key: Reflections on "A Charlie Brown Christmas"
Christmastime is here. Bring on the blitz of traditions and travels, wants and wishes. Get the shopping done, get the family together, get the food ready, get the getting going. Fill the snowy expanse that is the holiday season. With so many things trying to get in, sometimes it seems like nothing succeeds and Christmastime is empty instead of full; Christmas in a minor key. This can only mean it’s time for the annual viewing of A Charlie Brown Christmas. Charlie Brown is searching. For meaning, for escape from materialism, for Christmas. He confides in his pal Linus that even with Christmas on its way with gifts and cheer, he still feels melancholy. Through the course of an afternoon, Chuck looks where we all tend to look this time of year. He looks in his mailbox for a Christmas card, for some human connection and affirmation. He looks to the 5-cent psychiatrist; perhaps a mental health adjustment will help. Ultimately, Chuck’s enlisted to direct the kids’ Christmas play and so he looks to a satisfying career to put his heart at ease. And we certainly see how that works out. At the pageant rehearsal, Charlie Brown learns a lesson in herding cats and so even merry company and music can’t cure what ails him. Beneath the cheer lies vanity, snobbishness, and shallow revelry. Actors, right? In need of a break and determined to set the right tone for this Christmas play, Chuck sets off with Linus to get a Christmas tree (following the modern equivalent of a star in east: two roving spotlights). A nice, shiny aluminum one, Lucy shouts after him. Looks matter. Confronted by an explosion of neon kitsch at the tree lot, Charlie Brown nearly despairs until he finds a spindly, real tree. Wood and needles, the least commercial, most plain thing he has seen in the whole town. With apparent peace, he takes the one true tree to show the others. His humble offering earns him humiliation. What a blockhead. On a side note, maybe the glory that shone round about those shepherds long ago has been echoing through the years and, in an effort to recapture it DIY style, people have just gotten a little crazy. Maybe the aluminum trees are just an over-cooked reflection of something real after all. Of course, that’s all easy to swallow. Christmas™ has grown gaudy and superficial. Tone it down, for heaven’s sake. Have some goodwill towards men. But, simplicity is only half the point. In the next five minutes, Schultz and the animators drive home a seditiously counter-cultural point, exposing the hollowness of mere tradition and DIY glory, to replace it with something enduring. Comforted by Linus’ soliloquy, Charlie Brown carries his Christmas tree home. As he walks through his snow-bound town, all the other trees stoop under the weight of the drifts. Bowing in the direction of Chuck’s sad little tree oddly enough. Seemingly giving due deference. At home, Charlie is astounded to see what his beagle’s been up to. Snoopy fed right into the hype and glitz of his culture and did up his little red house into a festive juggernaut. I tell you, he has already received his reward. First place. Good grief. A dejected boy heads in from the cold. The Peanuts gang shows up (hopefully to apologize for being mean as snakes) and slowly notice that the tree ain’t all that bad. It just needs a little TLC. Snoopy could probably spare some lights and bells. But wait! Is the whole premise about to come undone? Is the commercialist brigade about to take the last lonely refuge of humble simplicity and bling it into oblivion? Thankfully, no. When the gang finishes, it remains a real tree, but a tree fully revealed. Brittany Salmon had a post on TGC blog about celebrating Christmas in the midst of suffering. She writes, “It’s easy to be thankful when God ordains seasons of joy and plenty, but it was an ugly fight for gratitude when he ordained suffering.” She goes on discuss sentimentality verses fixating on what really matters. This is a helpful post for those who find this time of year hard. Thom Rainer had a post about mistakes churches make at Christmas. His list consists of 10 mistakes (… probably the top 10). Ministry leaders and pastors would do well to consider this list. What have you been reading online lately? Leave us a link in the comment section for us to check out. Christmas is coming! Today I want to share two coloring sheet traceables with you. This artwork is by Kimberly Campbell of K Creatives. These traceables are 100% free to use in your church, home, or school. The two traceables are designed to help your reinforce the key truth taught in story #28 "Jesus Is Born" and Story #29 "Wise Men Bring Presents" in The Beginner's Gospel Story Bible. We hope these free Christmas traceable pages will help your children grow in their love for Jesus Christ! Directions: To print these pages, simply click on the preview images to the right. They will open a new window in your browser to download printer friendly PDF files. I’ve also uploaded higher resolution jpeg images for advanced editing here ("God is with us") and here ("Jesus is the best King!"). Enjoy!